Scholarships in the College of Liberal Arts have been set up for a variety of reasons — to honor a loved one by supporting a student who shares the same interests, to memorialize a favorite professor, or to assist students who need help paying necessary fees. No matter the reason for establishing a scholarship, the result is the same: A student’s college experience is made better. 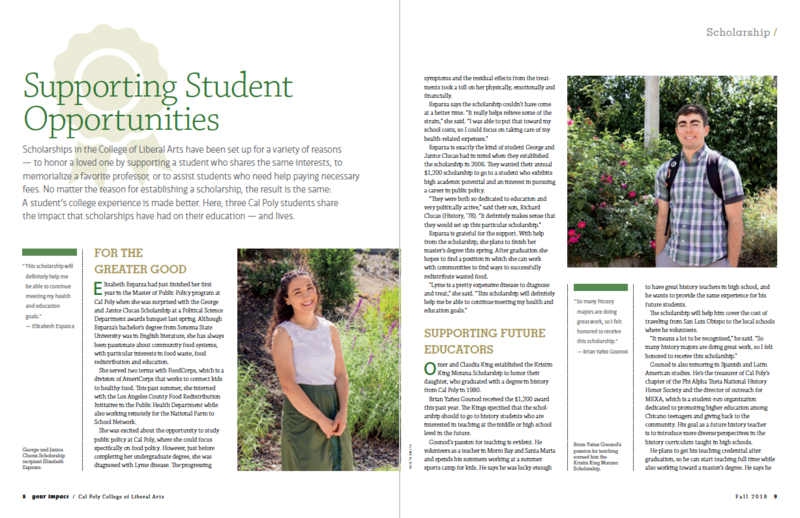 Here, three Cal Poly students share the impact that scholarships have had on their education — and lives. 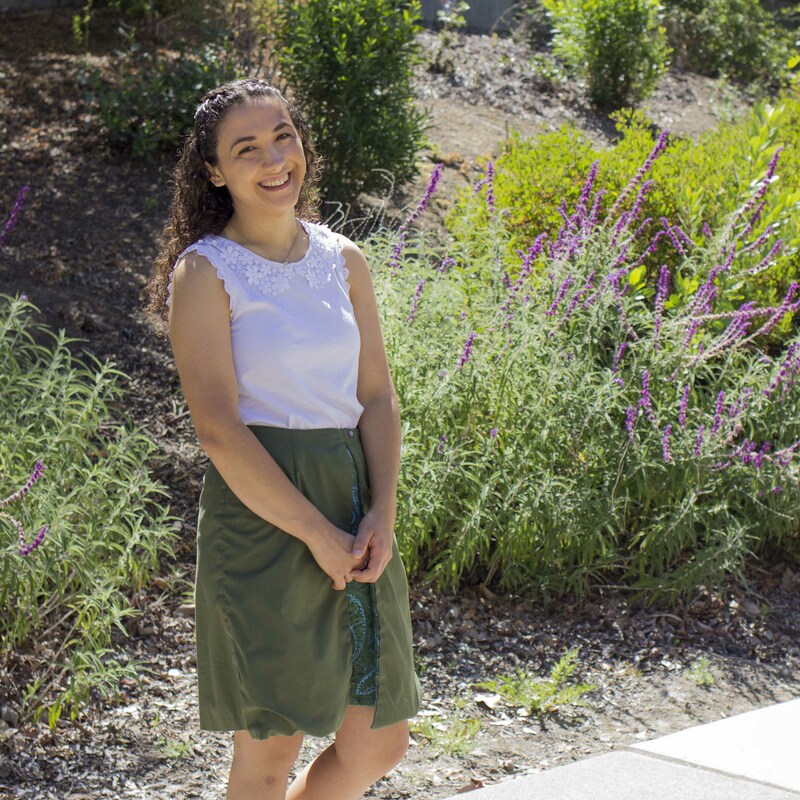 Elizabeth Esparza had just finished her first year in the Master of Public Policy program at Cal Poly when she was surprised with the George and Janice Clucas Scholarship at a Political Science Department awards banquet last spring. Although Esparza’s bachelor’s degree from Sonoma State University was in English literature, she has always been passionate about community food systems, with particular interests in food waste, food redistribution and education. She served two terms with FoodCorps, which is a division of AmeriCorps that works to connect kids to healthy food. This past summer, she interned with the Los Angeles County Food Redistribution Initiative in the Public Health Department while also working remotely for the National Farm to School Network. She was excited about the opportunity to study public policy at Cal Poly, where she could focus specifically on food policy. However, just before completing her undergraduate degree, she was diagnosed with Lyme disease. The progressing symptoms and the residual effects from the treatments took a toll on her physically, emotionally and financially. Esparza is exactly the kind of student George and Janice Clucas had in mind when they established the scholarship in 2006. They wanted their annual $1,200 scholarship to go to a student who exhibits high academic potential and an interest in pursuing a career in public policy. Esparza is grateful for the support. With help from the scholarship, she plans to finish her master’s degree this spring. After graduation she hopes to find a position in which she can work with communities to find ways to successfully redistribute wasted food. Omer and Claudia King established the Kristin King Morana Scholarship to honor their daughter, who graduated with a degree in history from Cal Poly in 1980. Brian Yañez Gounod received the $1,200 award this past year. The Kings specified that the scholarship should to go to history students who are interested in teaching at the middle or high school level in the future. Gounod’s passion for teaching is evident. He volunteers as a teacher in Morro Bay and Santa Maria and spends his summers working at a summer sports camp for kids. He says he was lucky enough to have great history teachers in high school, and he wants to provide the same experience for his future students. The scholarship will help him cover the cost of traveling from San Luis Obispo to the local schools where he volunteers. Gounod is also minoring in Spanish and Latin American studies. He’s the treasurer of Cal Poly’s chapter of the Phi Alpha Theta National History Honor Society and the director of outreach for MEXA, which is a student-run organization dedicated to promoting higher education among Chicano teenagers and giving back to the community. His goal as a future history teacher is to introduce more diverse perspectives in the history curriculum taught in high schools. He plans to get his teaching credential after graduation, so he can start teaching full time while also working toward a master’s degree. He says he appreciates that the Kings specifically wanted to help future teachers. 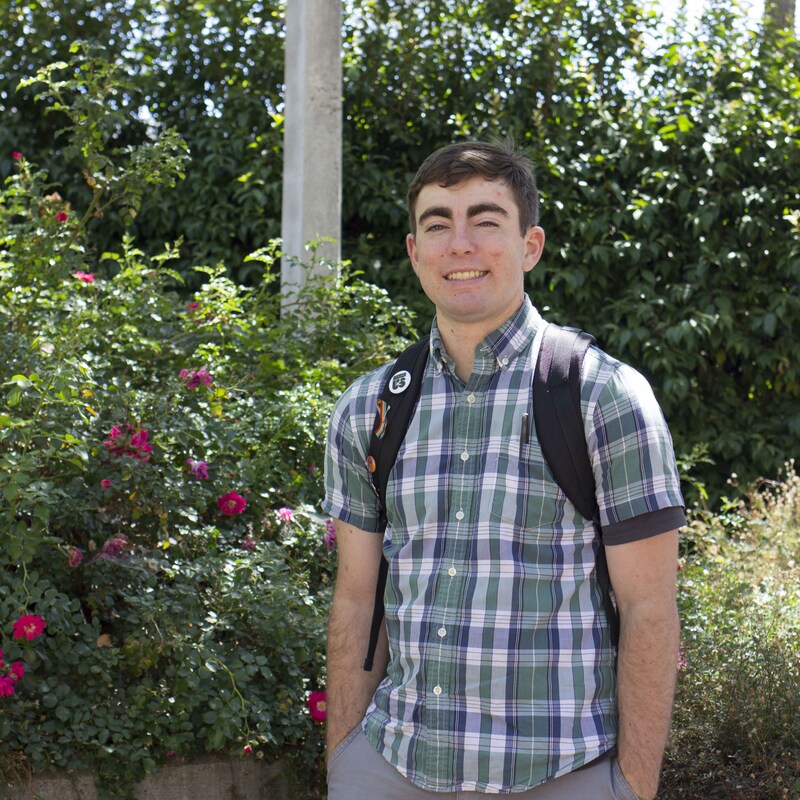 He was on Cal Poly’s teams for the Technical Association of the Graphic Arts and the Phoenix Challenge and served as the social media coordinator for the university’s More than a Motto campaign. The one opportunity he hadn’t experienced yet was a work-based internship. “As a first-generation college student, my family doesn’t always understand,” Nguyen said. However, employees at Catalyst Paper definitely understand the importance of an internship. Each year, the paper company arranges for a graphic communication student who is concentrating in management to intern with one of its clients. The company also provides the selected student with a $6,000 scholarship, which helps to pay for transportation, housing and any other incidentals that may come with relocating for a summer internship. 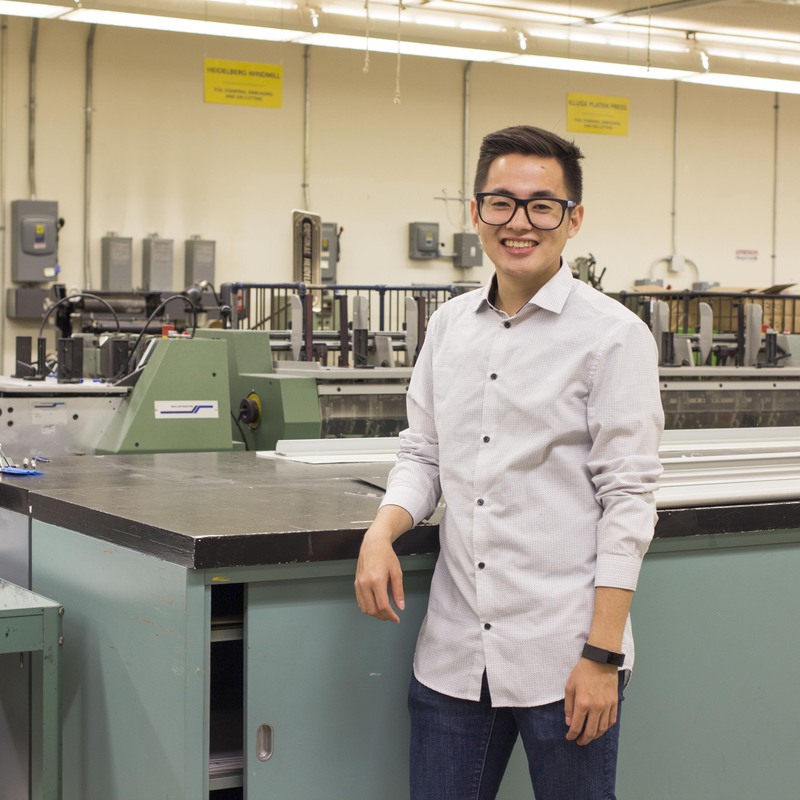 This year Nguyen was chosen for the honor, and he was given the opportunity to intern with Colorado-based Publications Printers Corp., the official printer of the Denver Broncos. The scholarship is named for Doc Stapleton, a Catalyst Paper employee who died in 1996. The year after his death, the company held a golf tournament to raise funds for Cal Poly’s Graphic Communication Department. The fundraiser was so successful, the company decided to have another one, and in 2018 the 22nd annual Doc Stapleton Memorial Golf Tournament was held. Download a pdf of this article or a pdf of the full 2018 Your Impact.